This entry was posted in caption contest, India, mass transit. Bookmark the permalink.
. . . elephant hitchhikers. I called shotgun and they don’t even care. 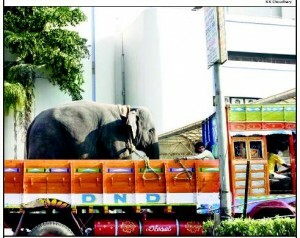 I just want to say, I would not want to be the guy riding in the back with the elephant.